You will find a wealth of strategies and tools in this book for “figuring out” what is actually going on in your workplace! The first critical first steps in any change or improvement process are to accurately understand what the problem is. 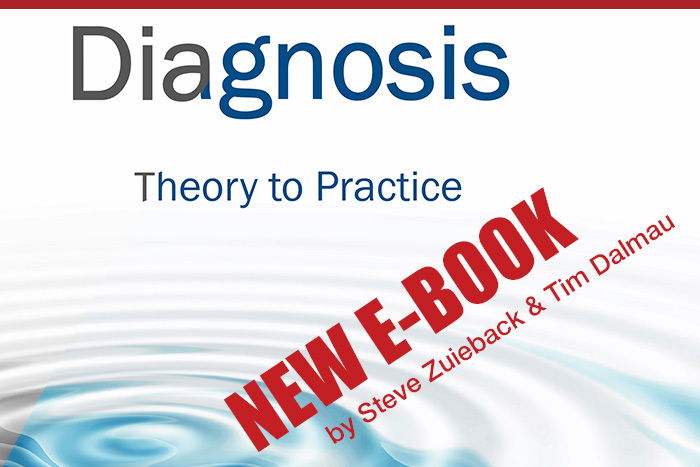 Dalmau and Zuieback provide the essential toolkit around the WHAT, WHERE and HOW of diagnosis – from small teams to whole organizations. Practical steps are placed within a context of sound theory, with the focus on simple actions that really get to the nub of the issue in the workplace. Helpful video links, references and advice are included for each stage of the process to assist in achieving optimum outcomes. For those of you who haven’t had an opportunity to work face-to face with Steve or Tim, having this book is almost like participating in a workshop with them! Over the last 30 years Tim Dalmau and Steve Zuieback have worked in 41 countries in publicly listed and private corporations, government organizations and non-profits, spanning mining, engineering, transport, health care and education sectors. This book is the synthesis of their experience and their approaches that have guided companies, teams and leaders in their pursuit of excellence. Buy your own copy now of the eBook ($A11.99). Also many other resources (free and for purchase) available here.